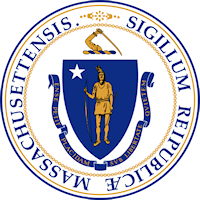 The Registry of Deeds of the Commonwealth of Massachusetts is responsible for managing more than 300,000 property-related forms per day. It was a costly, manually intensive, error-prone process spread across three separate offices. Searching for application documents, titles, mortgage information, and property deeds was time-consuming and cumbersome even on a good day. As both a Kodak authorized reseller and Eastman Park Micrographics authorized reseller (EPM was formerly a division of Eastman Kodak), BizTech was able to create an integrated solution utilizing both microfilm and digitized images to keep information current for the present and protects it for the future. What used to require two separate processes can now be achieved from a single scan. This helps the Registry of Deeds eliminate an entire step and cuts the total time required to scan and archive documents by nearly half. This solution creates a digital image for fast and easy retrieval during intensive search functions while simultaneously creating a film-based record that keeps critical information preserved. The combination of a digital system with a film-based archive enables rapid access to secured information for a variety of applications, from processing titles to searching for information on mortgages and property deeds to general record keeping. Composed of more than 60 Kodak i1420 Scanners, several i9620 Archive Writers and 2400DSV Digital Scanner-Printers from Eastman Park Micrographics, the solution helps to standardize the microfilm hardware used across the three offices that support the Registry of Deeds. The i1420 Scanners are equipped with Kodak’s Perfect Page Image Processing Technology and KODAK Capture Software, making it easy for individuals to capture high quality images directly from their desktop and keep information up to date across the Registry’s system. The i9620 Archive Writer uses Reference Archive Media, a specialized silver halide film which provides a life expectancy rated for at least 500 years when processed and stored according to the recommended practices of the International Organization for Standardization (ISO) and the American National Standards Institute (ANSI). It also provides an added backup system for developing two rolls, with one kept onsite and another offsite to ensure that a copy is maintained for disaster recovery purposes. The new system saves time, improves overall efficiency, and maintains the integrity of information over time by digitizing documents into high quality images and archiving them to film through a single process.